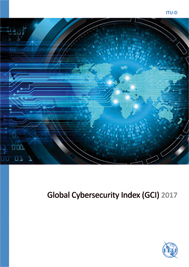 The Global Cybersecurity Index (GCI) is a multi-stakeholder initiative to measure the commitment of countries to cybersecurity. Cybersecurity has a wide field of application that cuts across many industries and sectors. Each country's level of development is analyzed within five categories: Legal Measures, Technical Measures, Organizational Measures, Capacity Building and Cooperation. (Slightly revised edition newly available as of July 27).